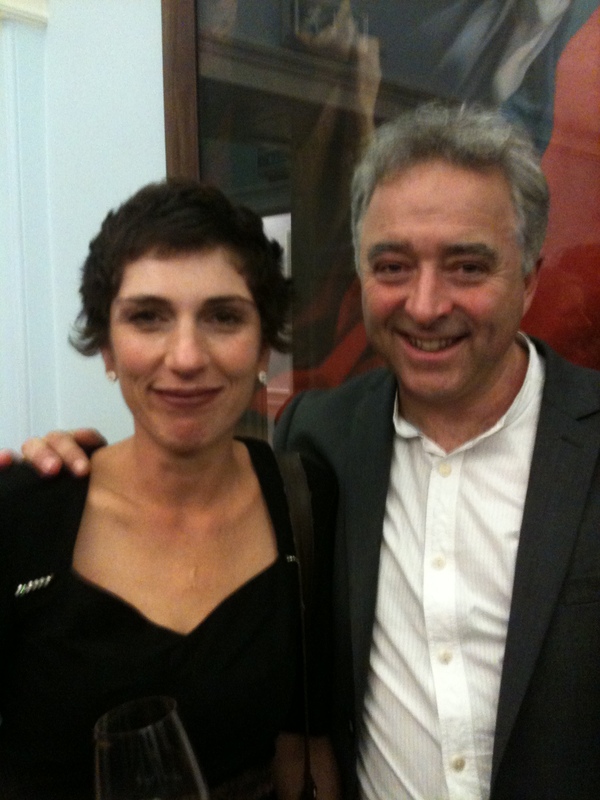 This is me and Frank Cottrell Boyce. That’s right. FRANK COTTRELL BOYCE. You know, who wrote Millions, and Cosmic, not to mention ‘24-Hour Party People’, ‘Brookside’ and oh, a little thing called the 2012 Olympic Opening Ceremony. I look happy, and a little nervous, don’t I? Well, that’s because Frank is my hero. And has been ever since I first picked up a pen (Ball Pentel Fine Point R50 for pen geeks) in the summer of 2001 and decided to write a book. Now that one (for reasons I cannot go into, involving chickens) didn’t get published, but my agent told me to chip, chop, go away and write another, and while I’m at it, do as much reading as I can possibly muster (very good tip for aspiring writers). So on the way back home from her rickety office in Charing Cross (designed, apparently by Dickens and Tim Burton) I went into my local Smiths in Peckham, and picked up the first book I saw. Well, the only book I saw, as they were not that big on books back then. It was Millions, I read the first page, and then and there I fell a little bit in love and awe. And Frank has been with me every step of the way since. I have laughed until I cried at Framed, and just plain cried at the heartbreaking The Unforgotten Coat (anyone who doubts the power of good of social media should read this book). I have begged proof copies from editors, I have begged festival directors to let me be his chauffeur (yes, people, I have had Frank in the front of my fetid A2, and driven him around the suburbs of Bristol. I AM rock and roll). And then, a few days ago, I got to meet him again at the closing night of this year’s festival. Now, I have met some spiffing people in my time, from Nelson Mandela to David Beckham to my own teen crush Nick Heyward (ask your mum. Or possibly Gran). As an earnest ten-year-old I got taken to the annual Puffin Club Convention where I got to speak to the fizzbanging, whizzpopping Roald Dahl. And yet none of them (not even Buffy in a hotel room) compares to talking to Frank for five precious minutes. Yes, I told him he was my hero. He told me he was excited to be on the same Funny Prize shortlist as I was last year (like, I KNOW). I said, “Do you remember the time when…” He said, “Your dress is fantastic”. He had to go back to Joe Berger’s house. We said goodbye. Then he kissed me ON BOTH CHEEKS! Which, like, OH MY GOD! Yes, I sound like a crazed One Direction fan. But for good reason. This man is one of the reasons I write books, and the sole reason I wrote Spies, Dad, Big Lauren and Me, and The Money, Stan, Big Lauren and Me. The debt their own hero, Billy Grimshaw, owes to Frank is incalculable. And so yes, I look happy. I am still happy. Wouldn’t you be? This entry was posted in Blog, Reading, Teen and tagged Bath Kids Lit Festival, Chitty Chitty Bang Bang, Cosmic, Framed, Frank Cottrell Boyce, heroes, Millions, The Unforgotten Coat. Bookmark the permalink. I’m beyond jealous! Framed is one of my favourite books of all time. I have a theory that all women are a bit in love with FCB. I have several heroes/heroines though: couldn’t identify just one.